Open House at The Reiki Shoppe - Tuesday, March 8th, from 6:30pm to 8:30pm - Come stop by and visit the new shoppe location, meet Lauren, and receive a chance to win door prizes. All ages welcome. The Reiki Shoppe is located at 63 Main Street, The Waterbridge Bldg, Bridgewater, MA 02324. Call Lauren at 508-577-8513 with any questions. 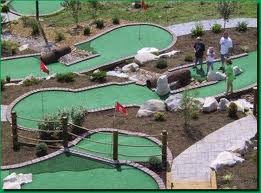 Greetings Mini-Golf Players! You are invited to attend the library's first Mini-Masters Golf Tournament on Sunday, March 13th, from 11a.m.-3p.m. The library will be transformed into an 18 hole miniature golf course "fore" a day of competition and fun. $5 per player. Come one, come all! Sponsored by the Friends of the Bridgewater Public Library. The Social Justice Committee at First Parish Unitarian Universalist Church Bridgewater, along with the Social Justice League of Bridgewater State University, are hosting a talk by Noam Chomsky on Thursday, February 24, 5-8pm at First Parish Unitarian Universalist Church, 50 School St. Bridgewater, MA. Professor Chomsky's talk will focus on the people-centered movements happening in Egypt and the surrounding region, along with general information about social justice and a people-centered sustainable society. Tickets will be available at the door. A $15 donation, or $5 for students (no student ID required), is suggested. All proceeds go to the church's Social Justice Committee for its projects locally and globally. 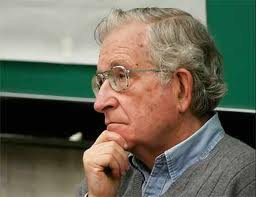 Professor Chomsky has taught at MIT for 56 yrs. He has authored over 100 books and is the most quoted person in the world. His propaganda model of the media is the definitive work on the topic. He is considered the "Einstein" of linguistics having shown that the acquisition of language is due to an unpacking of a genetically pre-programmed system. He is also the world's leading critic of the unjust use of power. The public is invited to attend Bridgewater’s One Book One Community Kickoff at the Bridgewater Public Library. “A Sweet Event” will take place on Saturday, March 5th from 10:30a.m. to 12:00 noon in the library’s Flora T. Little Meeting Room on the lower level. 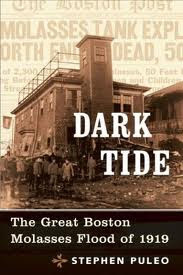 This year’s title is Dark Tide: The Great Boston Molasses Flood of 1919 by Stephen Puleo. Check it out at the Bridgewater Public Library, Raynham Public Library, or the Maxwell Library at Bridgewater State University. It is also available for purchase in paperback format at Scholar’s Bookstore in Bridgewater. “A Sweet Event” will include a molasses cookie contest, with judging provided by Bridgewater’s Town Administrator, Troy Clarkson, and members of the Bridgewater Town Council. 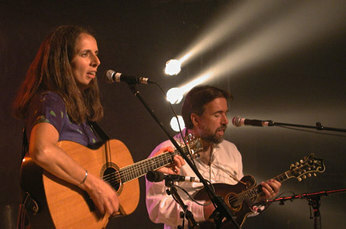 The program will feature music and a display of household items from the early 20th century. Light refreshments (i.e. molasses treats and apple cider) will be served. The winner of the molasses cookie contest will receive a copy of Dark Tide and their recipe will be featured at two local bakeries: Just Desserts and Cake in A Box. The second place winner will receive a copy of Dark Tide and a jar of Grandma’s Molasses. The third place winner will receive a jar of Grandma’s Molasses. Registration forms for the contest are available at the Bridgewater Public Library, Bridgewater Senior Center, Maxwell Library at Bridgewater State University, Just Desserts, and Cake in A Box, and online at www.bridgew.edu/ucp/onebook.cfm. Registration forms must be submitted on or before February 25th. The One Book One Community Program is a partnership between Bridgewater State University, Bridgewater-Raynham Regional School District, Bridgewater Senior Center, Bridgewater Public Library, Raynham Public Library, and the Bridgewater Business Community. For more information about the Kickoff, call the library at 508-697-3331 and ask for Mary O’Connell, or email the library at bwpl@sailsinc.org. BYSA will be hosing a "Vegas Night" at Raynham Park (aka Dog Track), on February 18, 2011. 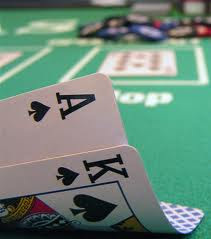 Poker, Black Jack and Roulette with REAL MONEY payouts!!! This is a public event, open from 3pm-11pm. Bring your friends, Relax, Socialize, WIN some CASH!!! This is a fundraising event for BYSA, so please SUPPORT THEM!!! 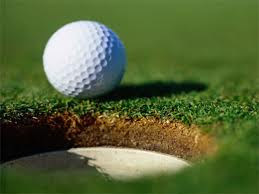 The Friends of the Bridgewater Public Library are hosting a mini-golf tournament on March 13th from 11AM to 3PM. The interior of the library will be transformed into a mini-golf course with 18 holes spread across all three floors of the library. Tickets will be $5 per person with kids under 4 free. There will be food and drink and raffles available. The Friends are currently looking for raffle prize donations and hole sponsors. If you are interested in either of these options, please contact the library or Rebecca McGrath at rebeccamcgrath@morseins.com. Recognizing that hunger is a real issue in our community, the children of Messiah Baptist Church in Brockton and of First Parish Unitarian Universalist Church in Bridgewater are teaming up to help. They are in the midst of conducting a food drive, gathering donations from their respective churches and from the community at large. They will spend their winter vacation week working in tandem with the food pantry at Messiah Baptist to shop for, package, and distribute food to those in need. Approximately 30 children, ages 3-16, are participating in this inspiring project, entitled We Can Help: A Child's Response to Citizenship and Community. Their goal is to feed 100 families. Donations of food can be made by following the directions on the website, or monetary donations can be made in the form of checks made out to First Parish Unitarian Universalist Church and mailed to the same, 50 School Street, Bridgewater, MA, 02324. Any assistance from community members would be most welcome. The attached photo is of Lanezja Auguste, left, age 10, of Messiah Baptist Church, and Miranda Zigler, age 12, of First Parish Unitarian Universalist Church. Ms. Auguste and Ms. Zigler serve as the team captains of We Can Help for their respective churches. Photo by Korin Zigler. Permission to print their images and names, and to print Ms. Michaud's name, has been granted by their parents. The Friends of the Bridgewater Public Library have scheduled their next book sale. The book sale is a "name your price" event and all proceeds go to benefit the library. This Saturday evening from 7-9pm Diehl Art Gallery will be hosting the opening reception for Bridgewater's own Stephen F. Smalley. 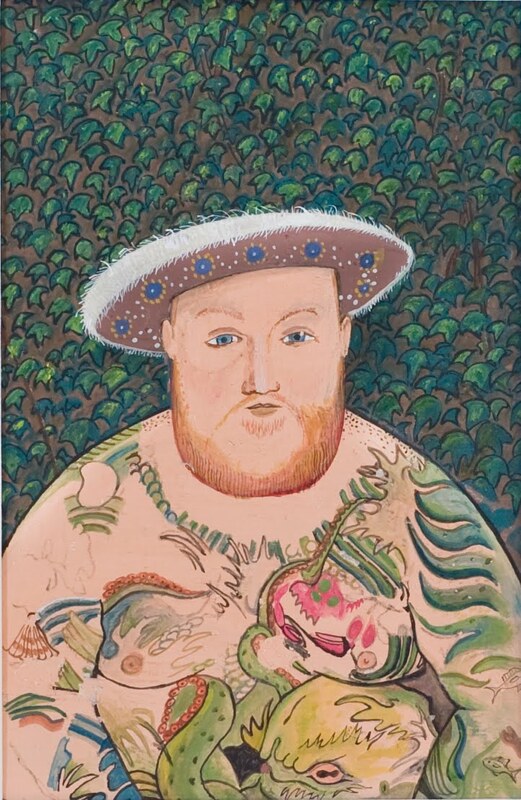 The exhibit which features paintings from Stephen F. Smalley's "Henry VIII" series will be on display at Diehl Art Gallery from Feb. 12 - March 5. This is a free event, wine and light refreshments will be served. Guests are encouraged! Diehl Art Gallery is located at 27 Central Sq. Bridgewater MA 02324. For more information visit www.DiehlArt.com. Terry Irving and Frank Fortin are starting a Junior Legion Baseball Team. The Junior Legion Baseball Team is in need of sponsors and for more information about how to sponsor the league, please contact Frank Fortin by clicking here. The season will start the end of may and will consist of 20 games . The team will be playing 10 games at home at Legion Field and 10 games at surrounding towns. Come and Kick Off the 2011 American Cancer Society Relay for Life of Bridgewater, Lakeville & Middleboro. Learn more about this year's event and pick up your team captain kit. A survivor guest speaker will be present and you will be able to network with other team captains over light refreshments. For more information, please contact American Cancer Society staff partner Melissa Padeni at 508-897-4324 or melissa.padeni@cancer.org. Folk musicians Susie Burke and David Surette will be joined by Jim Palana for an evening of live music on Saturday, February 5th at the Off the Common Coffeehouse. Off the Common Coffeehouse is located at the First Parish Unitarian Universalist Church and this concert will be held at 8PM. Tickets are $13.00 and can be purchased at the door. For more information, please call Rich Mosley at 781.294.8771.